There has been some confusion since about JO about blender maps and detail maps. Hopefully this thread will end that confusion once and for all. What is a Blender/ Blend map? A blender map is an RGBA .TGA file that is used in conjunction with the detail maps in order to apply textures to specific areas in the terrains. What is a Detail map? Multiplied to color map - one or more RGBA channels of the detail map is multiplied to the terrain's color map. Type 2 detail maps are used for close-up terrain when the "Terrain" option (in game options) is set to High. Type 1 detail maps are used for terrain that is further away from the player. It is also used for close-up terrain when the "Terrain" option (in game options) is set to Normal or Low. How does the game use Blender and Detail Maps? When the game loads up the terrain, all 4 detail maps are automatically applied to the terrain, and then uses the Blender map to controls the transparency of those textures at specific spots. This blender map is an example of a single-channel blender map. 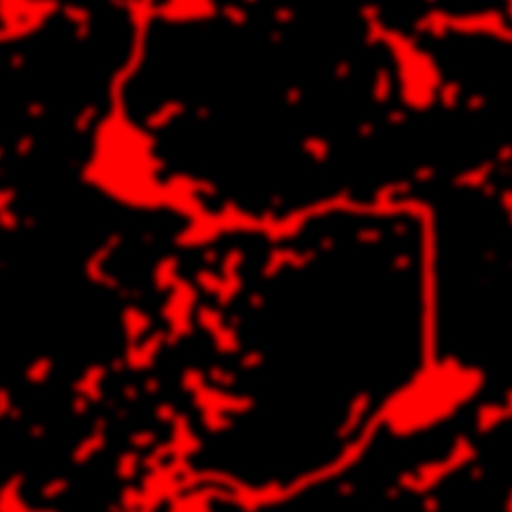 Areas that are pure Red have the detail map fully visible on the terrain, while areas that are pure black have the detail map transparent. Shades of red in-between have varying levels of opacity. This blender map is an example of a dual-channel blender map. 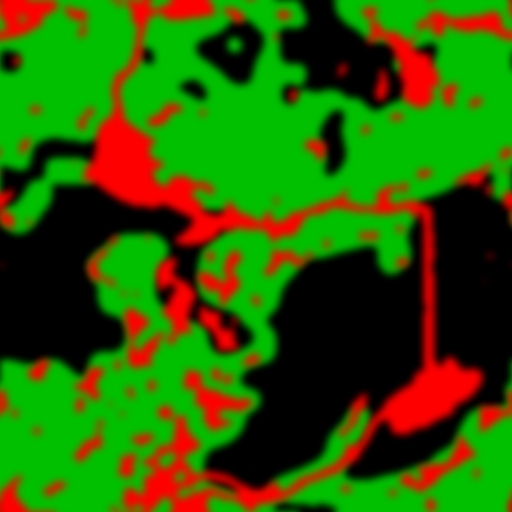 The same mechanics explained before is still used here, but each color represents a different detail map: such as red being dirt areas while green being grassy areas. Layers at the top (smaller number) are rendered over the lower layers. So if you have an Area that has a lot of Red on it, then the Green, Blue, and Alpha layers will be rendered, but not seen by the player. Type 1 Detail maps have their channels directly correspond with the blender map channels. The Red channel will be applied to red blend areas, the Green channel with the green blend areas, etc. The terrain is a polygonal mesh object just like any other 3D object, and thus uses an LOD scheme for performance optimization. Higher LOD's (and detail maps) are rendered/seen at closer areas while lower LOD's are rendered/seen at further areas. Some terrain tiles used in the MED have been able to force the Alpha detail channel to show. In most stock detail map .TGA's the Alpha channel has been a rock or smooth asphalt texture.